"We had an extremely positive experience at The Mapleton...I would not hesitate to use them, the staff there is exceptional!" When it comes time to make a decision on care for you or your loved one, we understand that only the best will do. We take pride in "The Mapleton Way". It starts with well-designed homes, experienced staff, professional service partners, and state of the art technology and processes that enable you to feel confident you or your loved one will receive consistent, quality care. The Mapleton is proud to partner with local medical service providers in the communities we serve. At The Mapleton, we understand that feeling at home is more than simply having a beautiful place to stay, it's about being in a place where you feel connected to family, friends, and community. We want each of our residents to feel that the entire Mapleton home is an extension of their own living space. It's a place where they can socialize, learn, relax, enjoy hobbies, and have fun. We strive each day to create opportunities to build friendships and stay connected to loved ones and the local community. 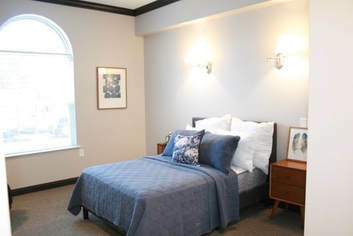 The Mapleton provides a combination of residential living, health and recreational activities, and help with daily living activities such as eating, bathing, dressing, and medications in a home-like environment. Our licensed and experienced staff is onsite 24 hours a day. 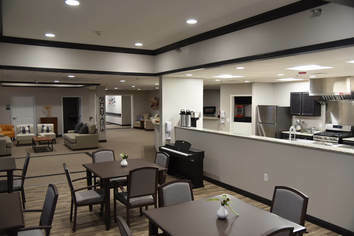 Our facilities consist of 17 bed and 20 bed residential-like facilities where our residents enjoy private suites, daily activities, an open layout with restaurant-style dining, and beautifully decorated living areas. We invite you to come and experience The Mapleton! We look forward to meeting you and your loved ones.